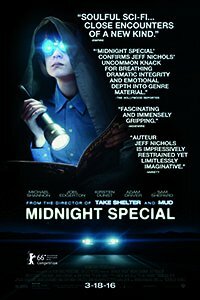 Tense, terse, and thought provoking, Jeff Nichols Midnight Special is the type of genre movie that Hollywood should make more of. It’s a companion piece of sorts to Nichols’ breakout collaboration with the great Michael Shannon Take Shelter, another film that mixes genre and drama until the two become indistinguishable. It’s also somewhat of a modern twist on Close Encounters of the Third Kind and Starman, mixing sci-fi mystery with lightshows that stretch into religious awe. It’s a brilliant little movie that’s both viscerally exciting and thoughtfully ambiguous. A rare Hollywood treat that entertains in all the right ways while still trusting its audience to bring their brains to the theater. Midnight Special almost feels like an apology from Warner Brothers after making genre fans suffer through Batman V. Superman, and one that I’m willing to accept. All is forgiven. Thanks for this. The movie kicks off in the middle of a chase. A particularly stressed Michael Shannon (is there any other kind?) 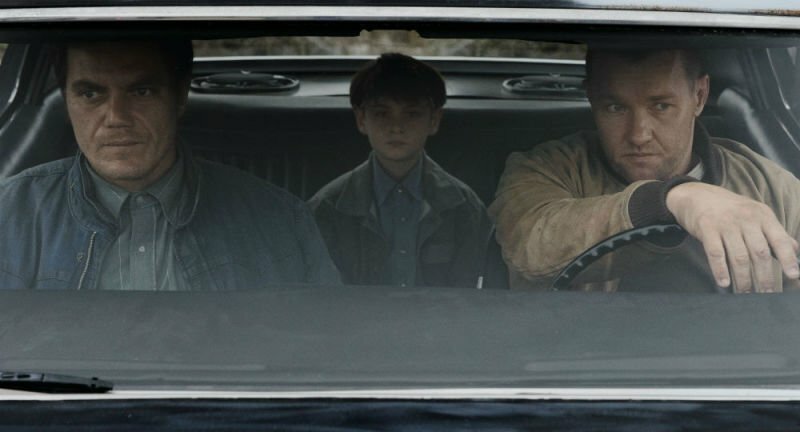 drives at top speed down the highway accompanied by his buddy Joel Edgerton and a mysterious young boy wearing goggles (Jaeden Lieberher). We soon learn that they’ve taken the child from a religious cult led by Sam Shepard. The kid has a tendency to emit light from his eyes that gives visions to those who make eye contact. He also tends to speak in tongues and spit out strange messages that the cult took as gospel. Some of those messages were government codes that the boy seemed to pull from secret radio broadcasts, so he’s also being pursued by various government agencies (the most prominent figure in this chunk of the chase is Adam Driver’s amusingly childlike NSA agent). We slowly learn the boy is Shannon’s son. He’s fleeing from the cult and government to reunite with the kid’s mother (Kristen Dunst) so they can take their son to a specific location at a specific date that he’s prophesized for ages. It’s unclear what the boy’s connection is to another world. It could be God, it could be aliens, it could be some higher plane of existence, or possibly some combination of all three. Admirably, Jeff Nichols never oversells or spoon-feeds his mythology and backstory to the audience. The film starts in the middle of an escape that is typically the delayed climax in lesser movies. Pieces of information are slowly fed to the audience over the course of the narrative when needed. Much of it remains deliberately ambiguous even after the credits roll. Often times, the most crucial hints of backstory come not through what the characters say, but how they interact with each other. Thoughtful looks say more than a thousand words ever could. It’s clever storytelling that demands audience participation without alienating them. The filmmaker also takes advantage of the terse storytelling style to keep the movie barreling forward with an unrelenting sense of moment. Action and subtext meld until they become indistinguishable. It’s art and entertainment combined, and beautifully so. Stylistically, Nichols melds the best of early Spielberg and John Carpenter with his own unique voice. Like JC, the shadowy widescreen frames suggest mystery and hint at sudden shocks to come, while a minimalist score provides mood rather than telling viewers how to feel. From Spielberg, Nichols borrows fractured family drama and a profound sense of awe and wonderment surrounding his special effects light shows. The actual spectacle of the film is small compared to the usual blockbuster fare. Yet its impact is far deeper thanks to how the filmmaker masterfully manipulates his audience and creates dramatic stakes through characters we care for. The palpable sense of suspense and anxiety on display plays out in both genre terms and as a moving metaphor for parental fear over their child’s wellbeing. Drama and thrills flow together until they become intertwined, and the power of the piece is undeniable. Despite how well made Midnight Special truly is, it’s primarily a character piece defined by excellent performance. Shannon is remarkable as always, initially seeming like the mysterious creep he’s typically typecast into, before slowly growing into a loving father pushed to the brink and completely empathetic in his possible insanity. Kristen Dunst matches Shannon in a role that seems equally one-dimensional. Slowly, she must carry the emotional weight of the climax through an almost entirely silent performance that’s quite impressive. The rest of the cast like Joel Edgerton and Sam Shepard, are cast to type with very little backstory explored on screen. Still, Nichols somehow nurses full performances from his brilliant cast that suggest so much more than is ever said. Adam Driver in particular, plays a fascinating dork, pitched somewhere between a Jeff Goldblum nerdy exposition machine and the wide-eyed wonderment of Francois Truffaut’s adult child in Close Encounters of the Third Kind. Then of course there is the incredible young Jaeden Lieberher, a frightened child with deep connection to a larger universe who is part Yoda, part Haley Joel Osment in the Sixth Sense and always completely believable. 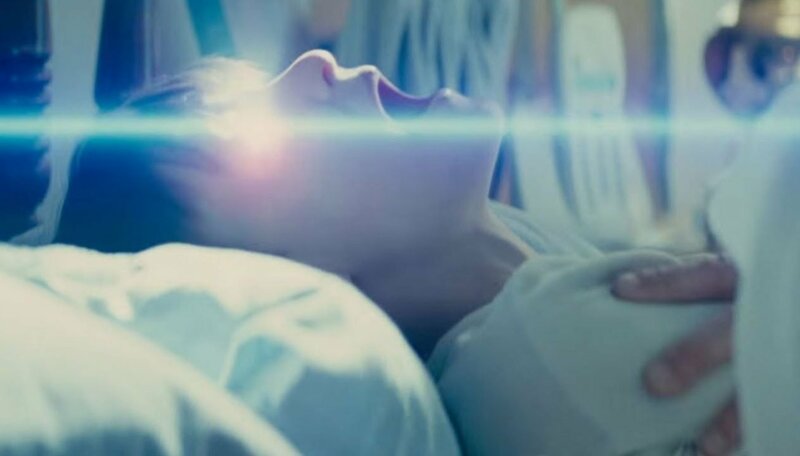 On a certain level, Midnight Special is such a simple and direct sci-fi thrill ride, that I could understand it being brushed off as merely a clever, little, uneasy suspense movie like 10 Cloverfield Lane. However, for those willing to engage with the movie, there’s so much more to dig through, and much that is delightfully left open for personal analysis. 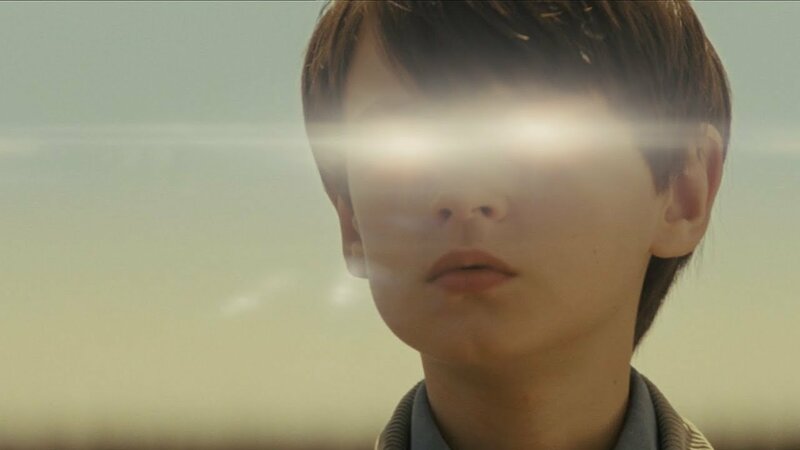 In fact, the only thing that holds Midnight Special back from being a perfect, little movie is the grandiose finale where viewers are finally given a glimpse of the larger world they’ve been teased with until that point. It’s a moving, beautiful, and ambiguous climax, yet one that can’t help but mildly disappoint after all the buildup. Perhaps part of that is a result of the fact that the movie can’t help but be compared to Close Encounters and it’s pretty much impossible to match the religious grandeur of the sci-fi lightshow that Spielberg delivered in that 1977 masterpiece. Still, if the worst thing that can be said about a movie is that it can’t match the climax of Close Encounters of the Third Kind, that ain’t bad. After all, that’s possibly the greatest sci-fi climax ever conceived, and one that not even Spielberg has been able to top. So, it’s easy to forgive. Everything else in Midnight Special is so satisfyingly rich, it would be greedy to walk out of the theater feeling anything other than grateful elation. A fantastic throwback sci-fi chase movie that mixes philosophy, complex performance, and thrills beautifully. Not to be missed.